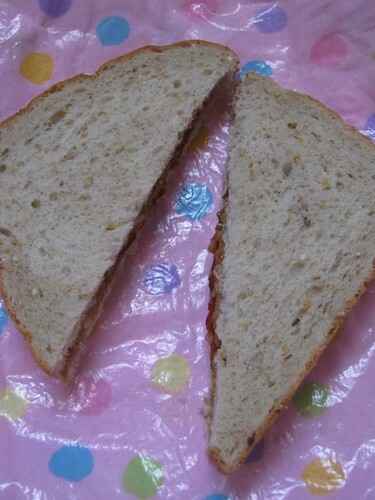 I decided to go classic for the first sandwich: PB&J, cut diagonally, of course! I will see you tomorrow for another exciting installment of “A Sandwich a Day.” Don’t be shy about suggesting some sandwich ideas to me. I would love to try out your ideas for sandwiches (open faced works too! ), wraps, bagels, and the like. Have a great night and keep cooking!